Lani Love, owner of Allagash Canoe Trips, paddles down the Allagash River on a clear spring day. Much of what makes Maine so appealing—its outdoor recreational opportunities, dramatic coastline, and independent spirit—hasn’t changed for centuries. Yet, there’s a lot of Maine that needs to change. 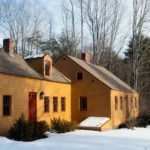 Ask residents of towns with shuttered mills. Or someone who doesn’t fit in the 95 percent white majority. Or a business owner who can’t recruit enough skilled workers. The individuals on the following pages are all making significant contributions to their communities and our state. They’re providing recreational opportunities and meals to kids in need. They’re connecting rural parts of the state to high-speed internet. They’re sparking conversations about how to combat racism and improve sexual education. They’re protecting our waters and our wildlife. 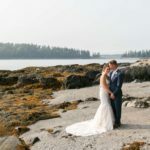 And they’re doing it for a love of Maine—and for what Maine could be. 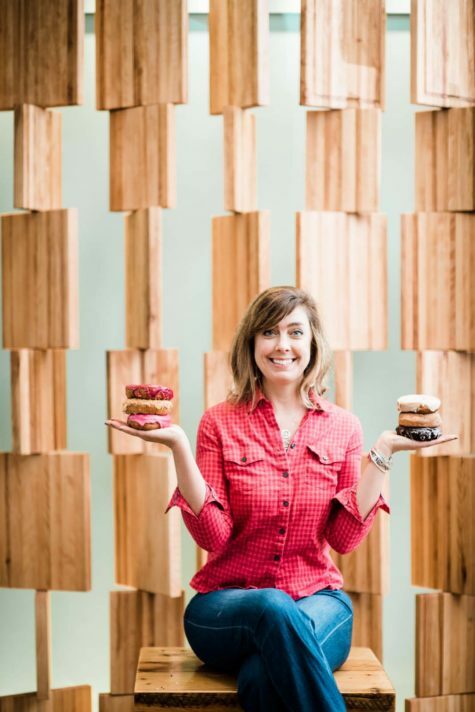 When Leslie Oster was the catering and creative director at Portland’s Aurora Provisions, she oversaw meals for high-profile clients. In 2012 she catered a dinner for President Barack Obama at the Portland Museum of Art. The “incredibly surreal” experience included making an entirely Maine-sourced menu for the president and the guests at his fundraiser. On a different occasion, Oster catered a private luncheon for Michelle Obama. Although these meals were swanky, the Obamas weren’t Oster’s most important diners. The volunteer work she was doing outside of Aurora Provisions held more meaning. 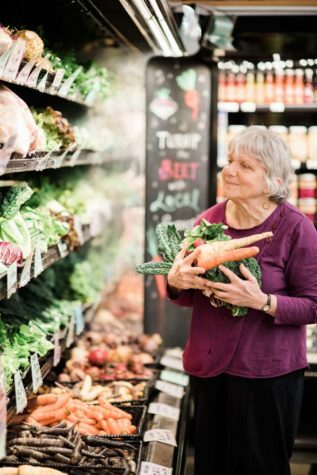 As an early member of Slow Food Portland and a board member of Cultivating Community, Oster worked with organic farmers, supported garden-based education for kids, and cooked at events to support ending food insecurity. Being a volunteer for Full Plates Full Potential led Oster to her current role as the organization’s events and fundraising di- rector. The nonprofit works to end childhood food insecurity in Maine. 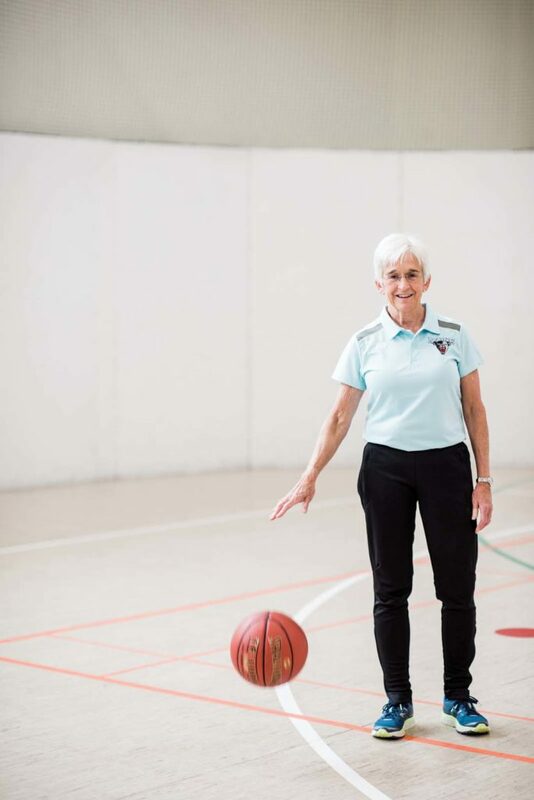 For Oster, working with the organization is a dream come true, especially considering that her longtime career goal has been to “fix school lunch” and provide kids with access to healthy food. She coordinates with local businesses to donate a portion of profits to programs that provide students with meals at school. 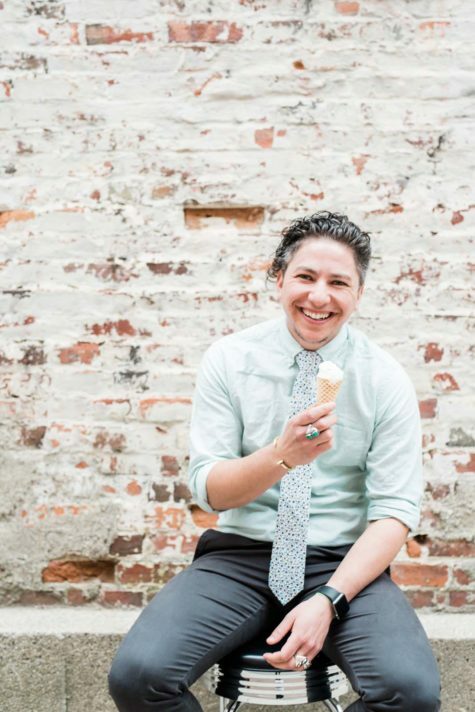 “I wake up every morning to a job that fills me with purpose and hope,” she says. 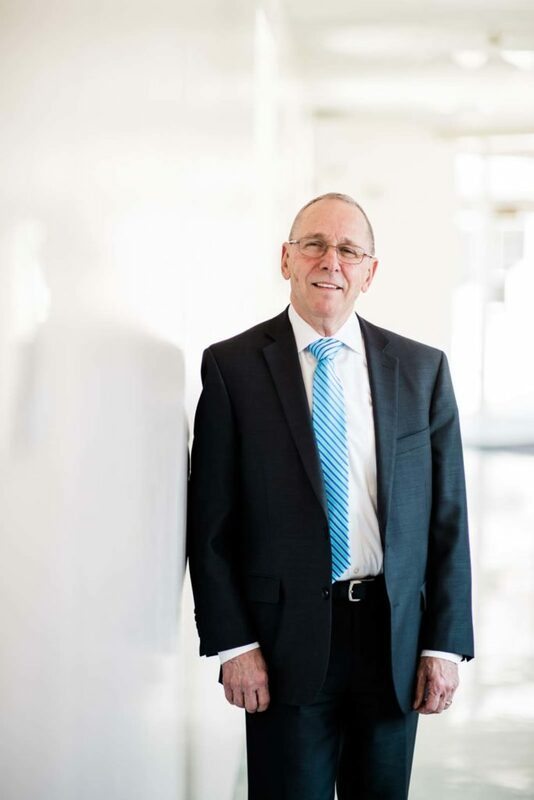 When Bill Ryan, Jr., makes an investment, one of his top considerations is how the project will impact Maine’s growth and development. 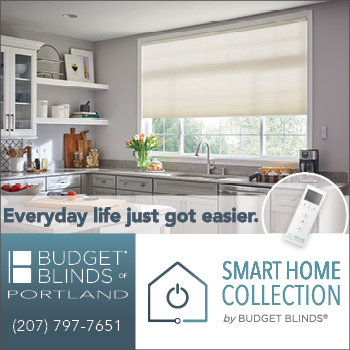 “My family loves Maine, and we want to continue to develop a prosperous economy in the place we call home,” he says. 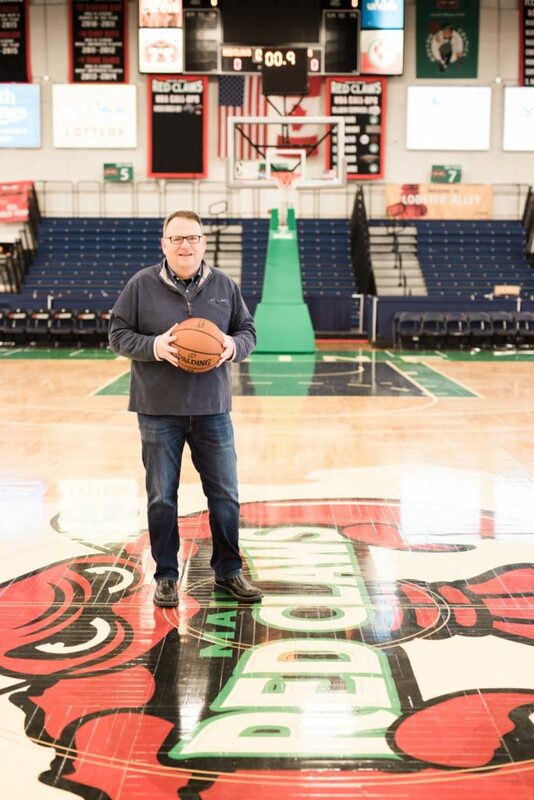 Along with being the principal owner of Maine Red Claws, Ryan is a co-owner of Port- land Pie Company and a former owner of the Oxford Plains Speedway. Ryan was also a principal in the early stages of the Thompson’s Point development project in Portland. When he founded the Maine Red Claws in 2007, he says, not everyone believed in the project, because they didn’t think a basketball team was necessary. Seeing the effect of the team on Maine’s entertainment industry has changed minds, he says, and has proven to Ryan that it was worth the risk. Further proof can be found on the faces of fans. “It is gratifying to see people having a great time with their families and leaving with smiles,” Ryan says. “We all have responsibilities that can drag us down. Fun experiences with our family and friends can pick us back up.” Getting up during tough times is a lesson Ryan learned through sports. Facing problems on the field as a college athlete taught him how to better handle issues in other aspects of life. “If you can stand toe to toe with an opponent on a football field, it makes a tough business negotiation seem a little less intimidating,” he says. 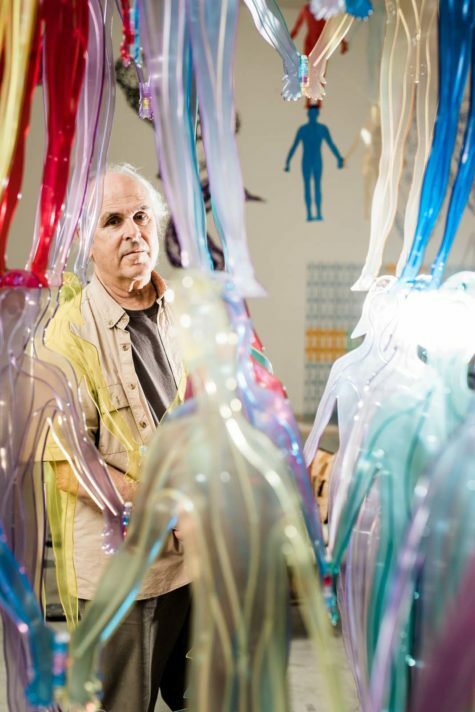 Jonathan Borofsky’s towering public sculptures are located in cities around the world, but it wasn’t until 2016 that the Ogunquit artist had an exhibition in Maine. A solo show of Borofsky’s work marked the openings of Rockland’s Center for Maine Contemporary Art, where a 24-foot-tall sculpture from his Human Structures series is installed in the courtyard. The structure of 12 colorful steel figures, bolted together and stacked on top of each other, signify a common theme in his work: humanity uniting together. 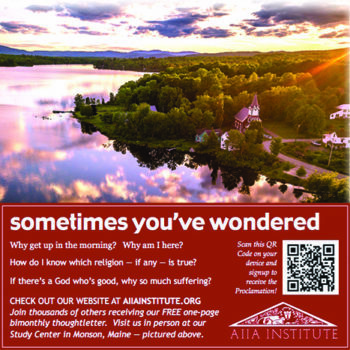 “The title kind of seeps out of it—Human Structure— that seems to be what we’re all doing. We’re all connecting to each other. We’re all building our world,” he says. The unveiling last year of similar sculpture by Borofsky marked the opening of a new sculpture garden at the Portland Muse- um of Art, and in 2008 he created a 64-foot-tall sculpture of his inter- connected, colorful figures for the Beijing Olympics. As a child, Borofsky had visited Ogunquit in the summer with his parents, and his first painting lesson was in Ogunquit. After college and graduate school, Borofsky lived, taught, and worked in New York City and Los Angeles for more 20 years before moving to Ogunquit in 1990 to “get away from a lot of activity and kind of hide out.” His work at his Ogunquit studio has been largely focused on sculptures for public locations around the globe. “For me, art has always been my way of understanding my world and the world around me,” Borofsky says. Marsha H. Donahue paints to protect. 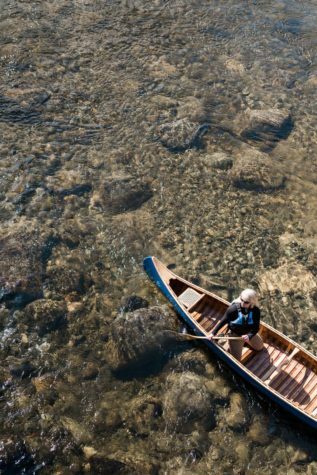 The artist was active in the Campaign for Katahdin Lake that successfully added the lake to Baxter State Park in 2006, and, more recently, in the effort to create the Katahdin Woods and Waters National Monument. “These two efforts blended the role of artist and conservator for myself and many other artists in being able to educate the public about the unique quality of Maine and in being able to protect and share it,” says Donahue, who owns North Light Gallery in Millinocket. In 2016 she received a leadership award from the Maine Natural Resources Council for work done on the national monument campaign. The painter uses oils and watercolors in her landscapes, which often depict the Katahdin region. 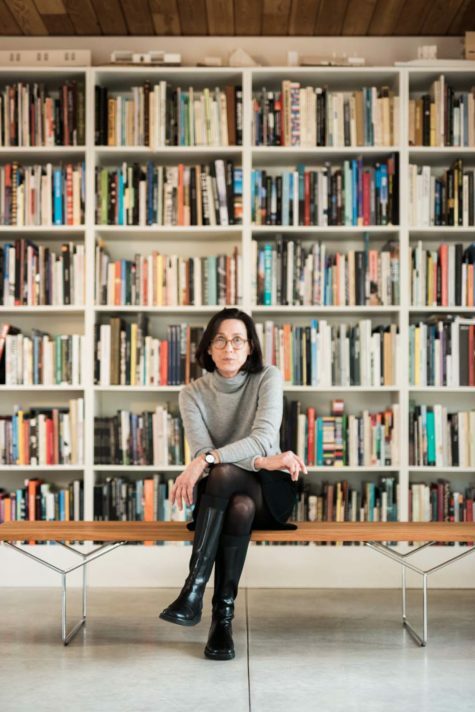 “Visual art is a powerful communicator, especially when you are taking people to places few have discovered,” she says. “Many of us who have been away and come back realize the value of the deep green woods and cooling waters and want to share it to create a more peaceful world.” Her hope, Donahue says, is that people will fall in love with Maine’s natural beauty and want to preserve it. Her gallery and studio in Millinocket also displays other artists’ work and hosts classes and community events. 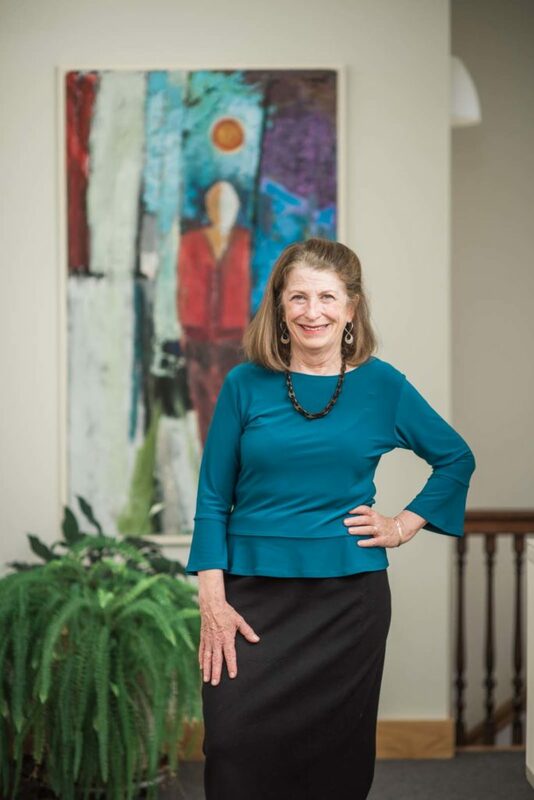 “I am proud of North Light Gallery, where I promote the works of others and myself, allowing artists a dignified living and giving the public the opportunity to discover and support them,” she says. Sebastian Belle has spent most of his career working to make Maine a national leader in aquaculture. 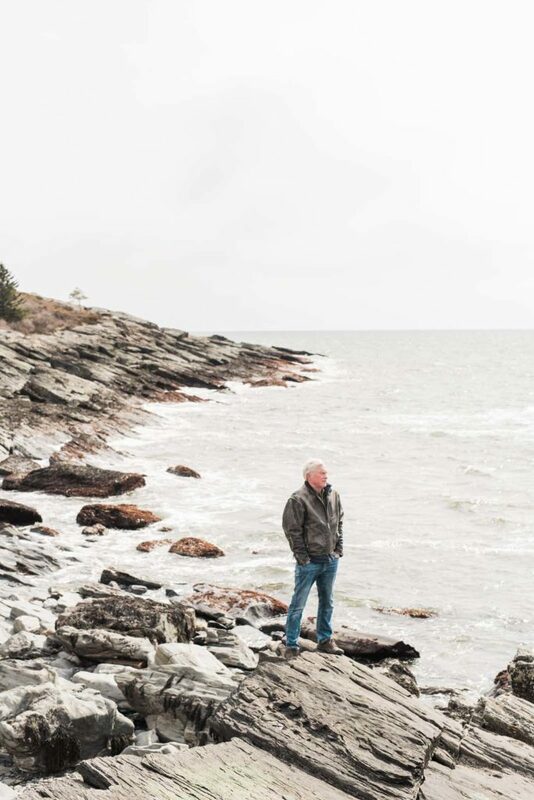 “I have worked all over the world but came back to Maine because I believe that aquaculture can play a critical role in diversifying the economic base of our coastal communities and help increase the resiliency of Maine’s working waterfronts in a rapidly changing world,” he says. 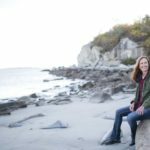 As the executive director of the Maine Aquaculture Association and a policy analyst for the Maine Department of Marine Resources, Belle has helped make aquaculture more common in Maine and more accessible for fishermen. As aquaculture becomes more popular, Belle has seen new challenges arise and has hired more staff to meet the needs of the industry. 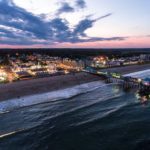 Major challenges include the changing environment, gentrification in coastal communities, and high competition for the seafood market. 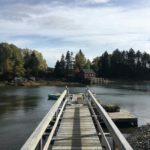 Belle and his team at the Maine Aquaculture Association have been working to help established aquaculturists thrive while also helping new farms start up. A large part of Belle’s work has involved working with aquaculturists in Maine to develop best management practices. 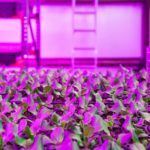 “Many of those methods are now recognized as some of the most progressive aquatic farming methods out there,” he says. 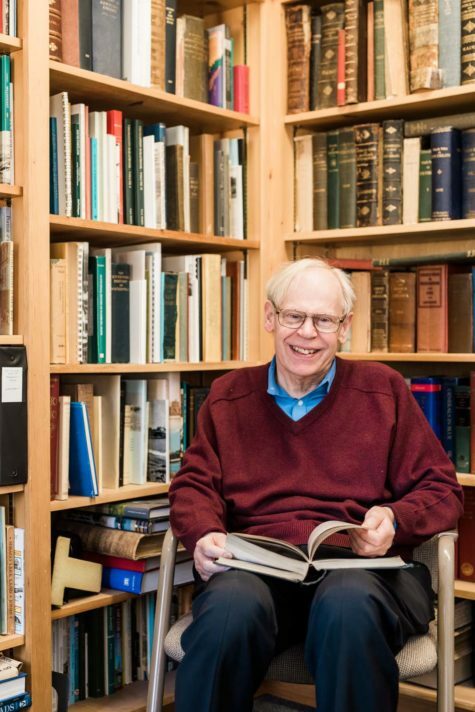 He helped design 14 aquaculture projects in nine different countries and was the winner of the 2017 World Aquaculture Society Lifetime Achievement Award. 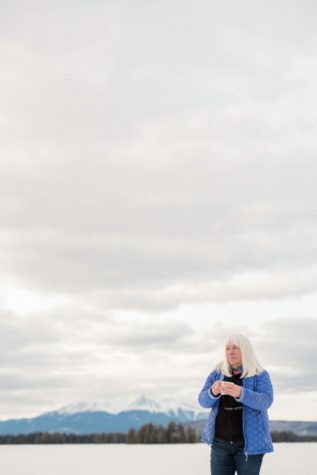 Protecting Maine’s wildlife is a job Judy Camuso can’t do alone. In addition to relying on her staff, she works to educate and empower the public to protect the state’s animals. As director of wildlife for the Maine Department of Inland Fisheries and Wildlife (MDIFW), she’s broadened the department’s audience and has encouraged people to engage with wildlife more. 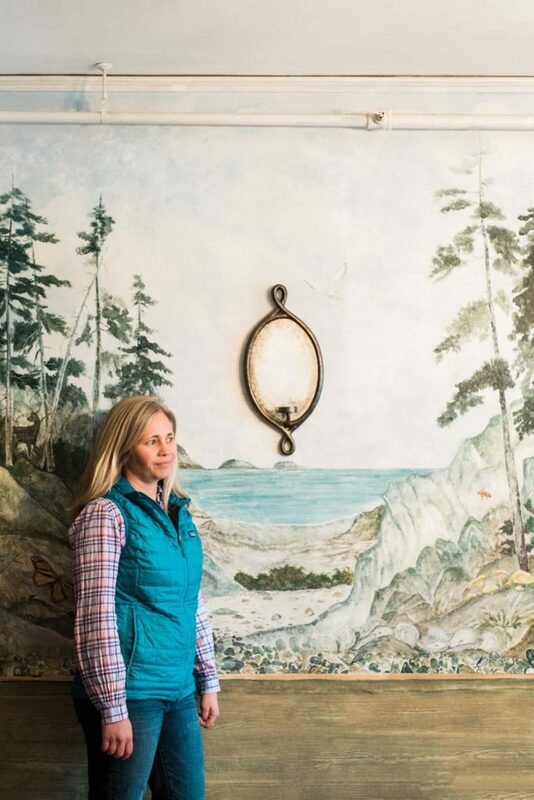 “I started my career at Maine Audubon, and one of my core missions always was to connect people to wildlife and nature, knowing that people will protect and conserve the things they love,” she says. After her time at Audubon, Camuso became MDIFW’s only female regional biologist and is now the department’s first female director. It’s important to her to advocate for women in the department and in the wildlife field in general. “I strive to encourage women to excel at this agency and try to be a model for advancing women in a male-dominated industry,” she says. 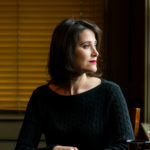 In her position, Camuso directs wildlife research, monitors projects (such as controlling the state’s moose population), and represents the department on policy and legislative issues. Her work also contributes to Maine’s economy. The U.S. 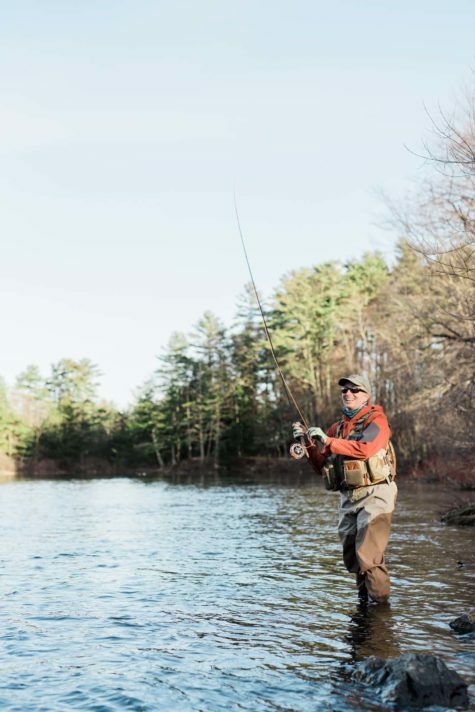 Fish and Wildlife Services estimates residents and visitors spend more than $1 billion on wildlife-related activities in Maine each year. 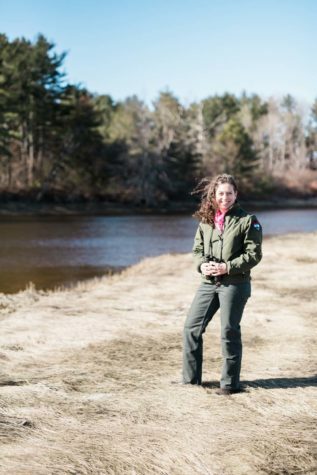 “Mainers are incredibly passionate about wildlife, and to actively oversee, enhance, and protect Maine’s amazing wildlife resources is my dream job,” Camuso says. Luke Holden’s family has been lobstering in Maine for generations, but his post-college plans took him in a different direction. After graduating from Georgetown University, the Cape Elizabeth native moved to New York City and got a job in the finance industry. 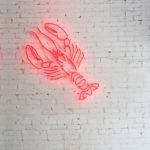 Wanting to create a taste of home in New York, Holden and his business partner, Ben Conniff, opened a lobster shack in 2009 in the East Village. Luke’s Lobster has since grown to 39 locations across three countries. Holden says “naïve passion” helped the pair find success. 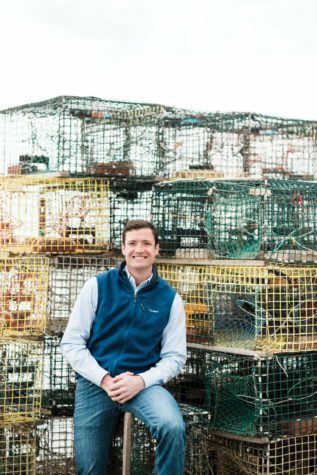 Their commitment to the lobster industry also led to them to create the Tenants Harbor Fisherman’s Co-op, which buys members’ catches at or above market price. Half of the profits from the Luke’s Lobster in Tenants Harbor go back into the co-op. 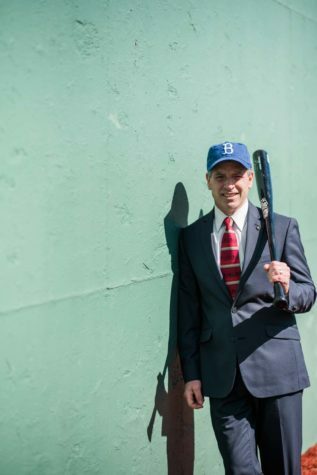 “I want to follow in my father’s footsteps and have a positive impact on the lobster indus- try,” Holden says. 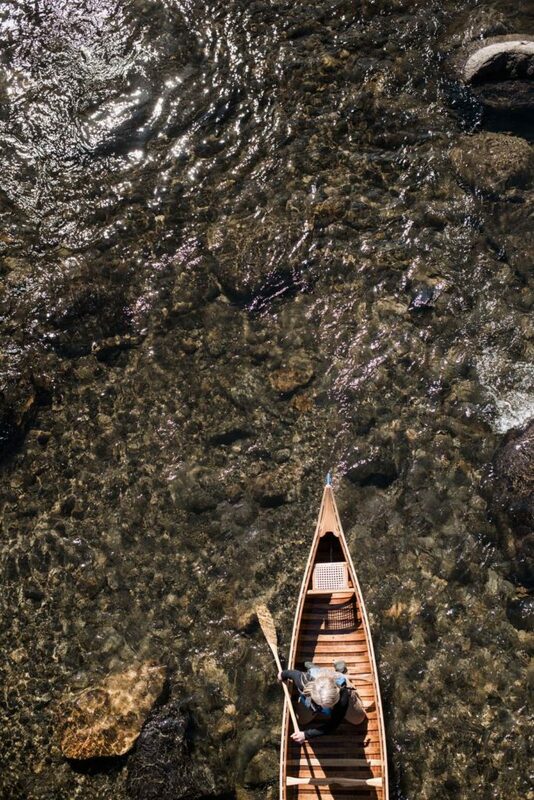 “Maine is home, plain and simple. The lobster industry is in my blood.” Earlier this year, Holden got Luke’s Lobster certified as a B Corporation, reflecting the importance of social and environmental standards in the company’s business model. 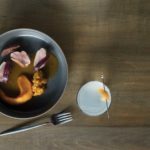 Getting the certification is rare for a restaurant, but Holden says he wanted to show how serious he is about using sustainable seafood. 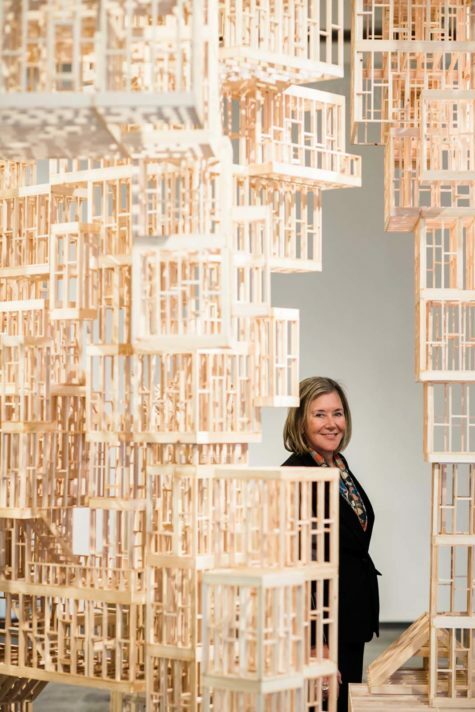 “I have always believed that spending my time and energy focused on making good things happen—whether it is at the state level or in my home community—is the most important thing I could be doing,” says Hannah Pingree. The youngest woman ever elected both majority leader of the Maine House of Representatives and speaker of the House at ages 30 and 32, respectively, Pingree served in the Maine Legislature for a decade. In that time she focused on energy efficiency, housing, health care, and passing a bipartisan budget. She co-sponsored legislation that became the Kid-Safe Product Act, a first-in-the-nation law that addressed the problem of toxic chemicals in household products. After terming out of the legislature, Pingree turned her focus to her family and her hometown of North Haven, where she’s served on the school board since 2010. She has led fundraising campaigns to build an island community center, a new public school, and, mostly recently, an elder-care facility that was completed this year. “Growing up in a tiny isolated island community, the concept of being a good neighbor who participates is essential,” she says. “The smaller the town, the more likely it is that you have to pitch in or lead the charge to make good things happen. And I think Maine is much the same way.” She’s stayed connected to statewide issues as co-host of The Maine Event, a weekly Maine Public television program, and says she would eventually like to return to state politics. Fletcher Kittredge doesn’t think good inter- net access should be a luxury. The CEO of Great Works Internet (GWI), a Maine-based internet service provider, believes it’s a basic necessity for all. “It is not really possible today, and in the future will be impossible, to participate in society, hold a job, receive quality health care and education, or receive governmental services without a network connection,” he says. Over the past 25 years, GWI has been committed to digital literacy, open access, market competition, network neutrality, and data privacy. He says reliable internet access enriches communities and helps them thrive. “It is not about streaming videos and social media, but rather solving the fundamental community problems—health care, aging in place, workforce development, business attraction, and telecommuting,” he says. 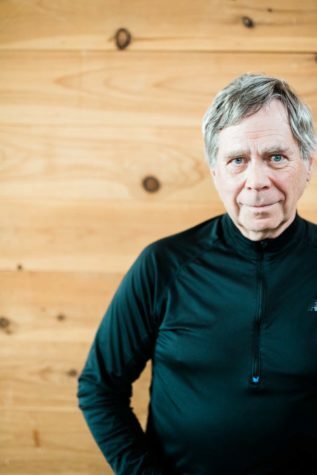 Communities won’t grow if they’re stuck in the past, because young people won’t want to live there and companies won’t want to locate there, Kittredge says. The CEO was a principal investor in the Three Ring Binder project, which completed a 1,100-mile fiber network to connect rural areas of Maine to the internet in 2012. 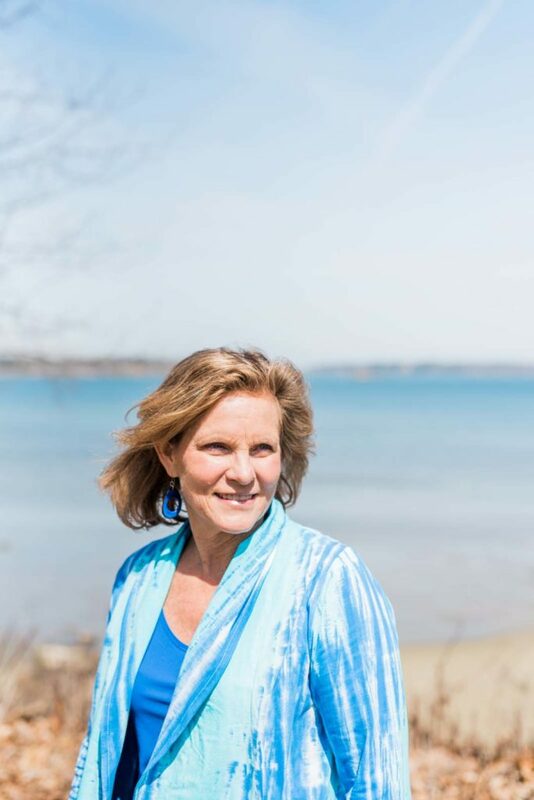 Kittredge is also a board member of the Maine Center for Entrepreneurs. “The best way to create jobs is to expand entrepreneurship, particularly beyond the traditional, highly educated urban males to women, the less educated, and rural areas,” he says. When Kim Swan sells a house, she does so with care. 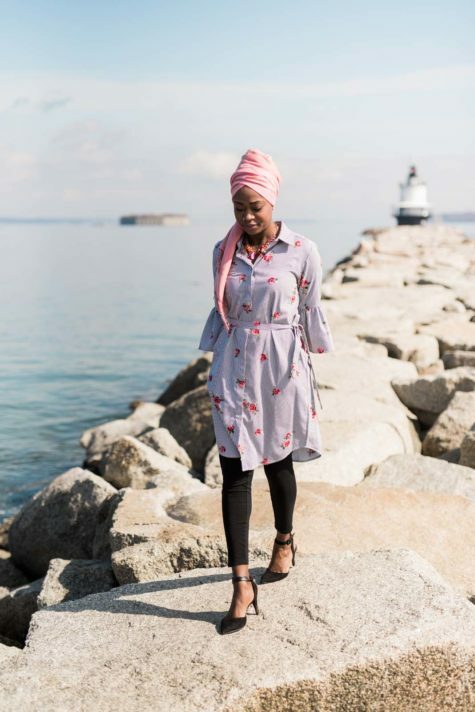 Not only is she helping a family find a new place in Maine to call home, she’s working to continue the lives of the buildings themselves. 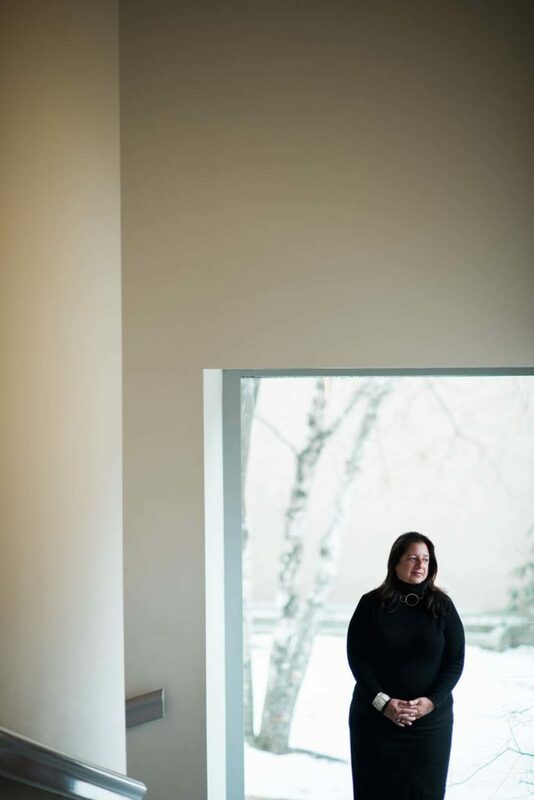 “My real estate career has been deeply steeped in working with historic homes,” she says. 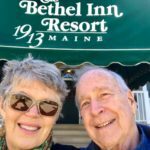 “The history of Bar Harbor and its rusticator period is most interesting to me, how it evolved to the building of magnificent cottages and how we, as a community, have respected these homes through the years.” Many of these historic buildings have been converted to bed-and-breakfasts and boutique hotels, businesses that Swan also works with. 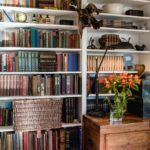 Her love of history extends beyond homes to her hometown’s storied past. 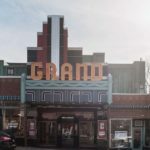 As a board member of the Bar Harbor Historical Society, Swan was the executive producer of the film The Fire of ’47, which tells the story of the historic fire that destroyed the town in 1947. 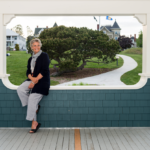 Her work with the historical society and as a business owner won her the 2017 Cadillac Award from Bar Harbor Chamber of Commerce. The award recognizes individuals who are leaders in public service in the community. 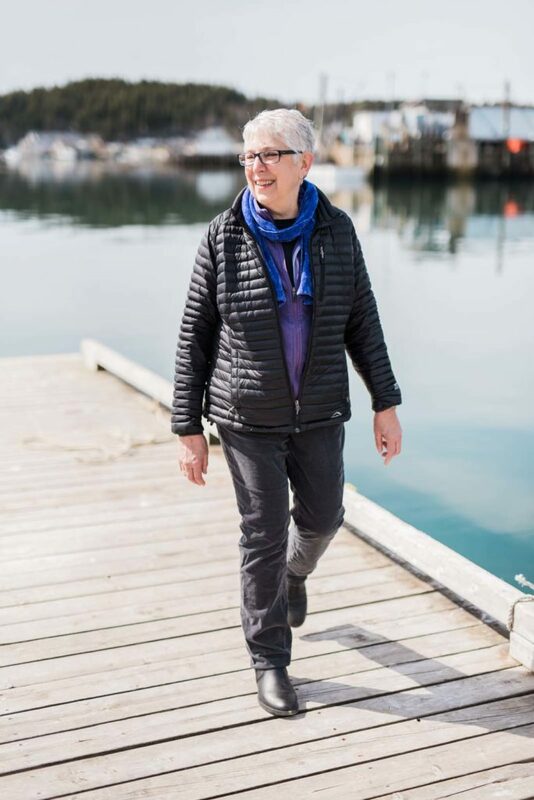 Swan was also a Bar Harbor Town Councilor for a decade, and in 2017 she was appointed to the Maine Council of the Humane Society of the United States. 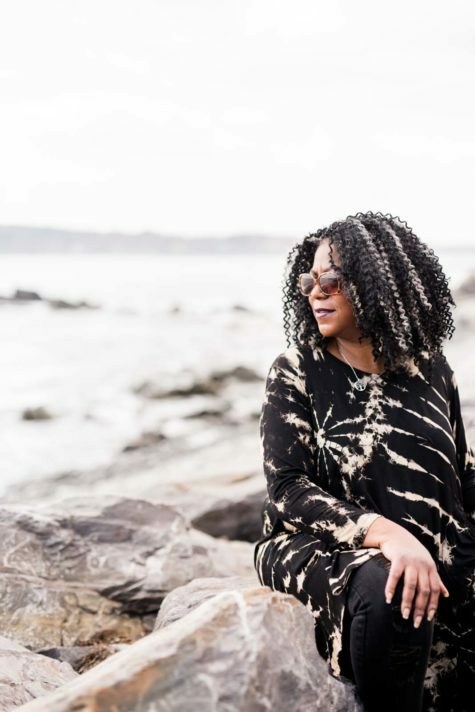 “The soul of Maine is driven by people with a passion for giving back,” she says. 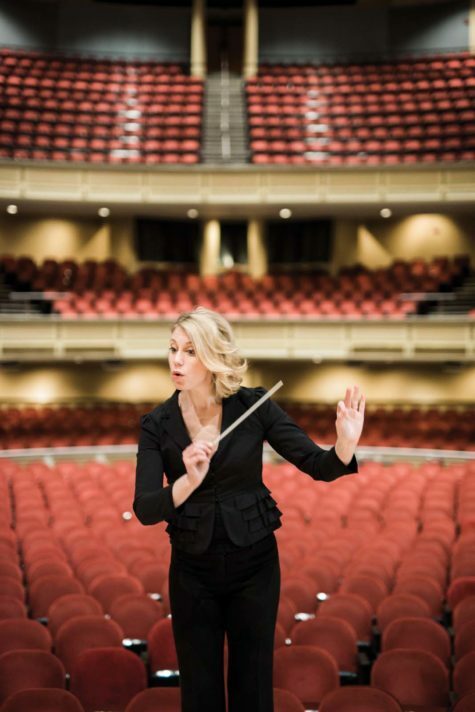 Jill Hoy has never needed to look far for inspiration. The plein air painter spent her summers in Deer Isle starting when she was nine, and is now a part-time resident of Stonington. “There is something deeply authentic, profoundly raw, and beautiful here,” she says. 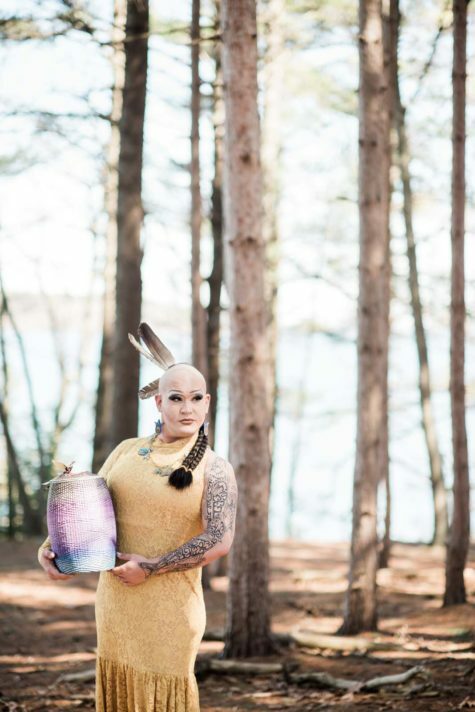 “Maine is a hardworking culture, close to the bone, and that essentiality and struggle is a rich combination for inspiring visual work.” Hoy paints Maine and its people by sweeping bright colors dramatically across the canvas. 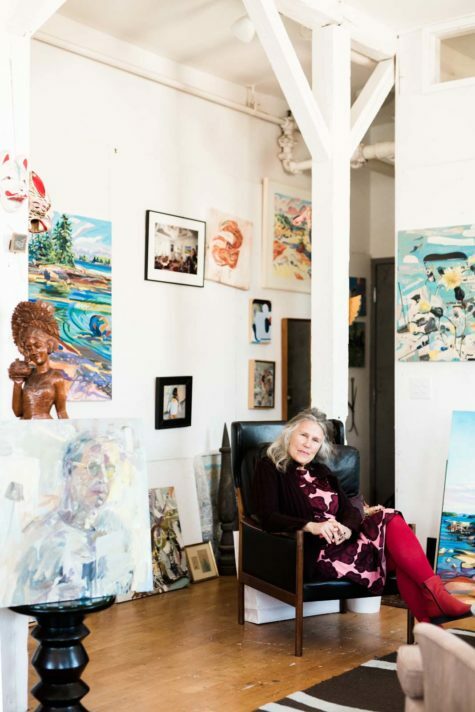 She considers herself a documentarian who paints places in their natural state, especially “places un-touched by gentrification.” She says, “I am drawn to landscapes that have maintained themselves from the beginning of earth’s existence.” For the past 32 years, Hoy has run her own studio, Jill Hoy Gallery in Stonington, where she displays and sells her work. Recognizing her good fortune to be able to support herself while doing what she loves, Hoy often donates her work to town offices, hospitals, schools, libraries, and other public places. She says it’s important to her that people get to experience art for free. Shay Stewart-Bouley | Creator of Black Girl in Maine: BGIM Media, Executive Director of Community Change Inc. When Leslie Otten’s friend invited him on a family ski trip in 1956, a whole new world opened up for the seven-year-old. “You could say that those ski trips in the ’50s had more influence on my life than just about anything else,” he says. 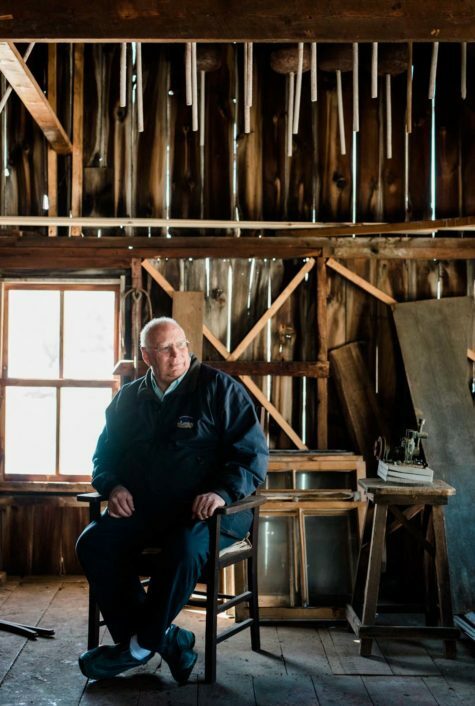 He fell in love with the sport, and by the age of 23, he was the manager of Sunday River ski resort. In the role, he expanded the ski area into a tourist destination and economic driver for the state. “Building Sunday River from a remote little ski hill to what it is today became the launching pad for many things in my life,” he says. 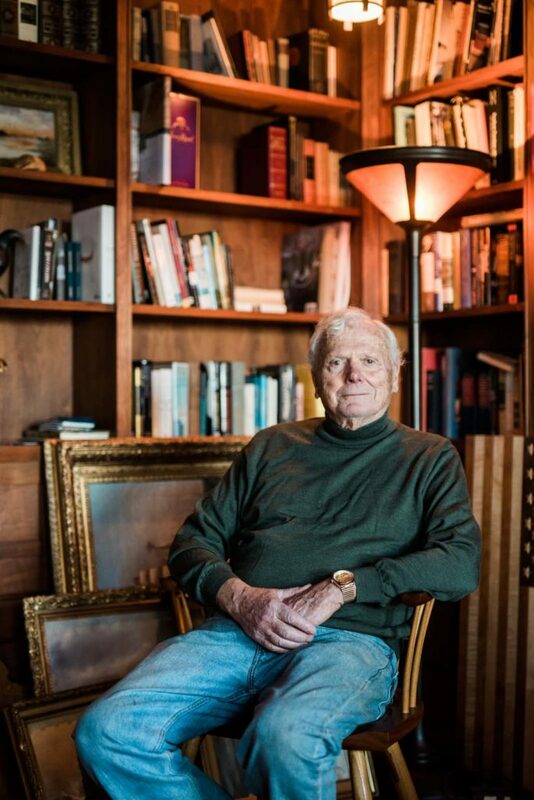 After seven years as manager, Otten purchased the resort in 1980, and in 1995 he founded American Skiing Company, which operated ski resorts around Maine and the country. 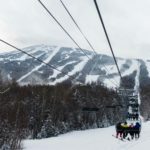 Growing Sunday River “was key to the growth of Bethel,” he says, and al- lowed him to pursue other ventures in the area. Along with Omar “Chip” Crothers, Otten founded Maine Adaptive Sports and Recreation, one of his proudest accomplishments. The organization helps adults and children with disabilities participate in sports. 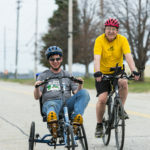 “Maine Adaptive has given opportunity to people whose lives might otherwise have been left short of what the program enabled them to accomplish both personally and professionally,” he says. 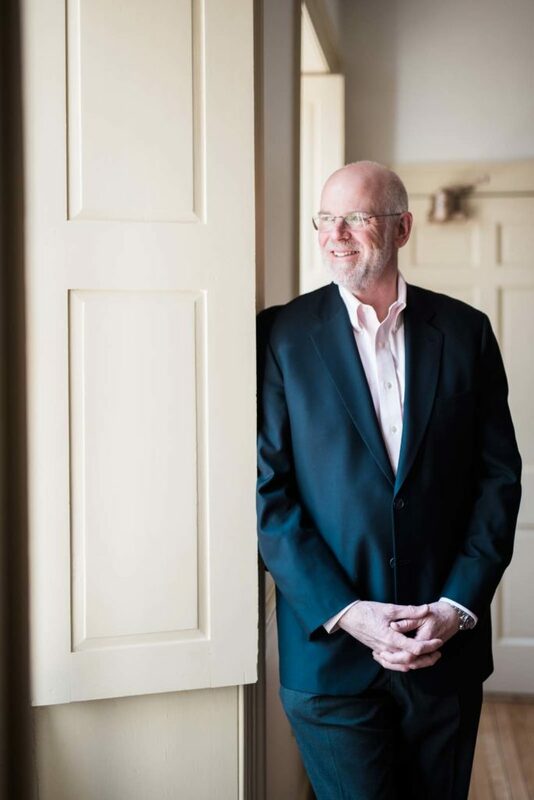 Otten is also the chairman emeritus of the Cromwell Center for Disabilities Awareness, on the board of trustees of the Portland Museum of Art, and is the former vice chairman and partner of the Boston Red Sox. 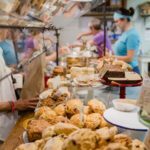 From raising funds to renovate a former jailhouse into a gristmill to pro- viding working capital to an organic dairy farm, Slow Money Maine has boosted Maine’s food system by connecting food businesses with financing and other assistance. The organization, which Bonnie Rukin established in 2010, has helped funnel $14 million into Maine’s food economy through loans, grants, and equity investments. The organization is a chapter of Slow Money, a national nonprofit organization that assists local food businesses acquire capital. The Maine group now has a network of about 1,750 individuals from various industries. 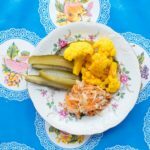 “Though Maine has a burgeoning local food movement, it is a state that is primarily rural and poor, with little state government support for agriculture and fisheries,” Rukin says. 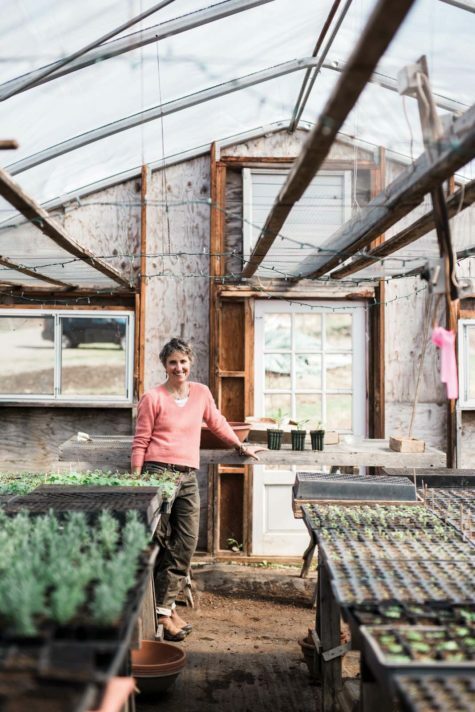 Slow Money Maine provides connections to food producers who want to grow their business, leveraging human and financial resources to access funding and technical assistance, she says. “Given the risks associated with investments in the food sector, many conventional funders are not supportive of food producers.” Slow Money Maine has also established two investment clubs, No Small Potatoes and Maine Organic Lenders, which bring individuals together to pool funds for loans to local food producers. Collectively, the clubs have made over $350,000 in loans, and the model has been replicated in more than ten states. For Merle Hallett, sailing is more than a hobby or passion—it’s a way to give back. In 1982 he cofounded the MS Regatta, now the MS Harborfest, to raise money for the National Multiple Sclerosis Society. The event, which includes a race around Casco Bay, has raised more than $3 million over the past three decades. 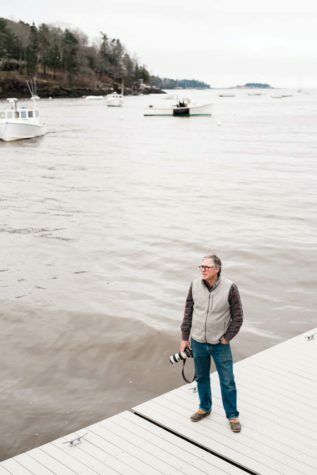 “I feel an obligation to pay back for all of my good fortune, and Maine is the natural place for me to contribute,” Hallett says. The Portland native grew up on Munjoy Hill and learned to sail at East End Beach, where he would launch a sailboat he built himself. 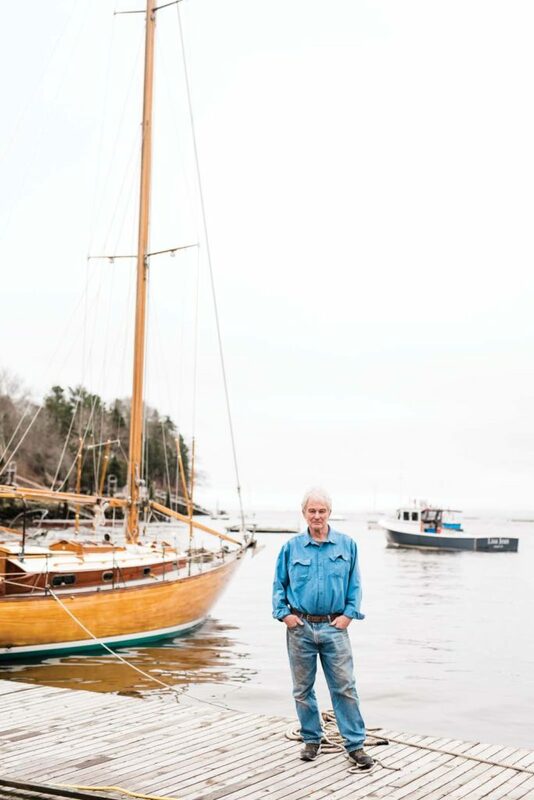 At age 23, he started working at Handy Boat, a boatyard in Falmouth. In 1966 he bought the business and expanded it continually until he retired in 2008. Handy Boat allowed Hallett to introduce boating to new generations. 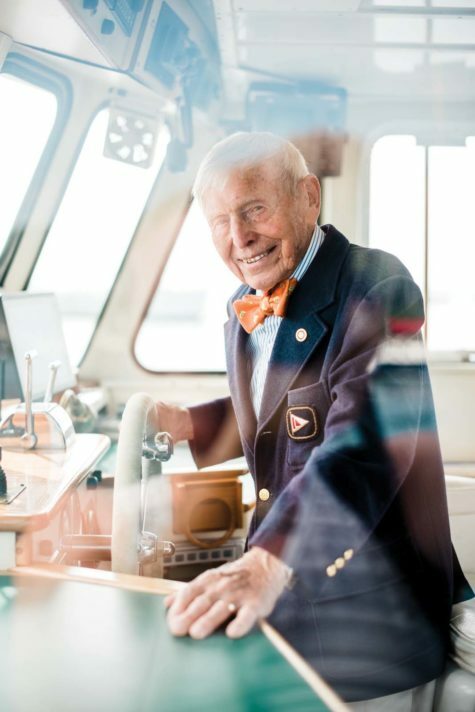 “This led to being able to give many young people the opportunity to work on the water, learning to appreciate boats, sailing, and sailboat racing,” he says. 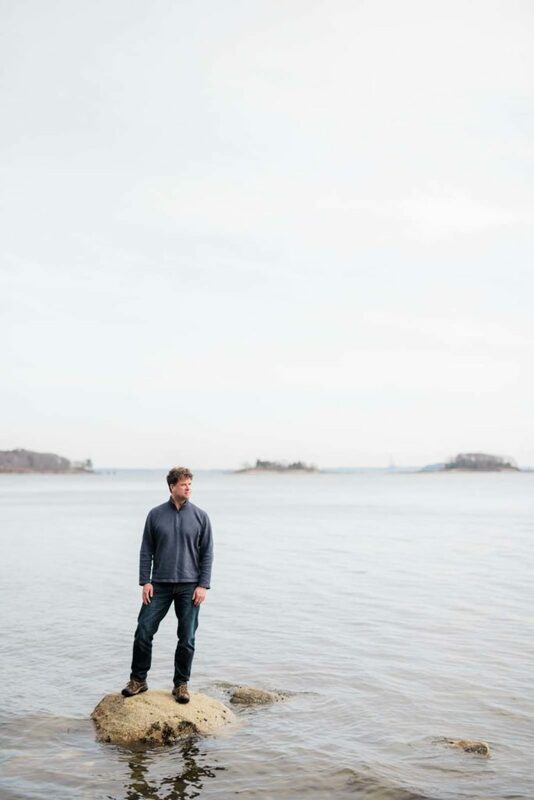 Hallett has always had a passion for racing and competed in his first boat race when he was 16 years old. Since then, he’s competed in and won races all over the country and world. 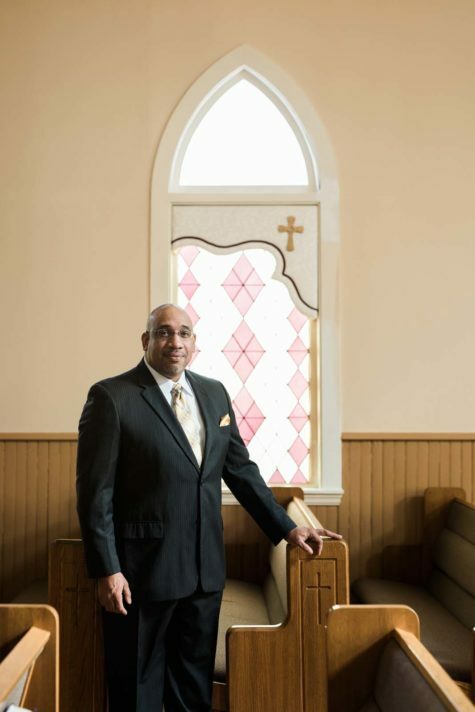 After starting his career working in Governor James Longley’s administration, David Evans Shaw realized he preferred the world of business. He liked the idea of helping others, though, and has focused his career on that goal. “While motivated by public service, I discovered that the framework of entrepreneurial business was especially fulfilling,” he says. 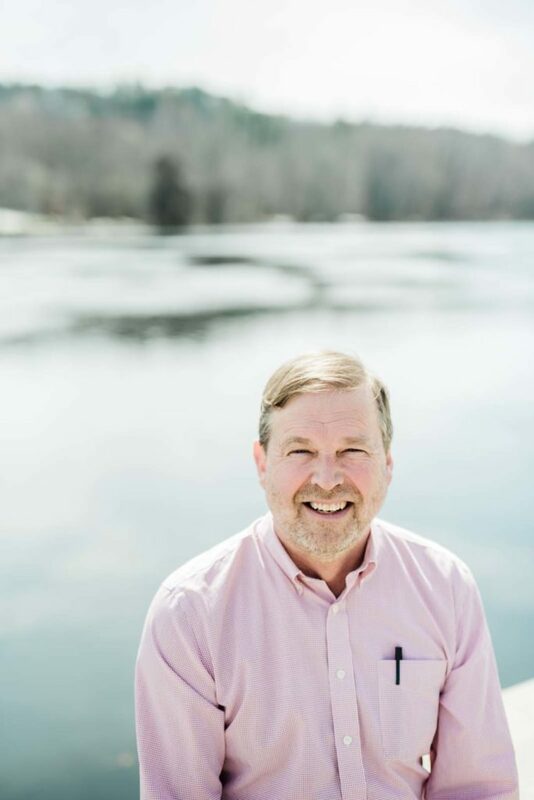 “Over the past 35 years, I have come to love building and supporting organizations that create exceptional value through innovative thinking and game-changing technology.” Shaw has founded some of Maine’s largest companies, including Idexx Laboratories and Vets First Choice. He has also been chairman of the board at the Jackson Laboratory. His endeavors have been driven by “restless dissatisfaction with the status quo” and a desire to find new, creative solutions. “Their success is a result of impassioned discovery of novel ways to tackle important opportunities in the world,” Shaw says. 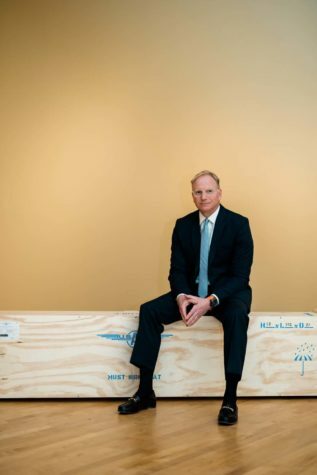 The business leader is now a managing partner of Black Point Group, an investment partnership based in Portland. He says it’s important to him to be involved in work that creates jobs in Maine and adds to the state’s technology industry, especially as it relates to health care. “We are all beneficiaries of stunning advances in modern healthcare, and I’m proud to be a contributor,” Shaw says. Looking to the future, Shaw envisions entrepreneurs leading the state forward. “Entrepreneurship thrives on a sense of taking responsibility in life, and this resonates with an element of Maine’s culture,” he says. 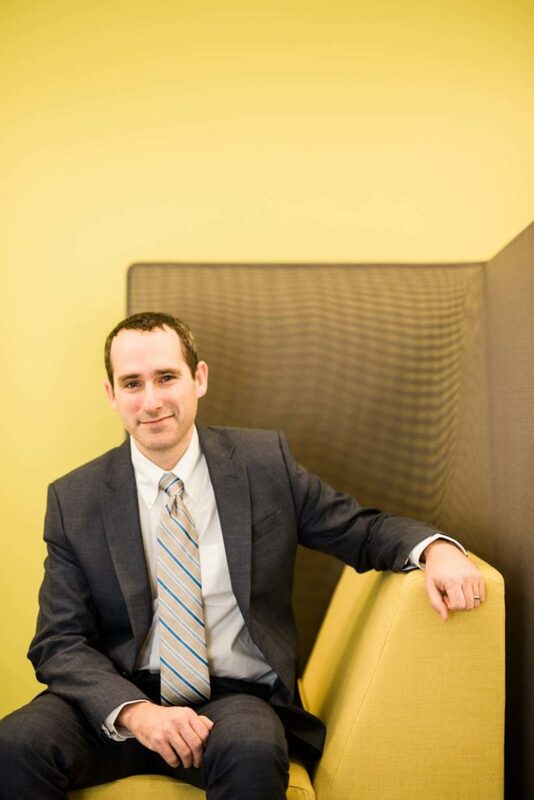 The workplace environment Joshua Broder has created at Tilson didn’t come about by accident. After serving in the United States Army, he wanted to recreate the strong sense of teamwork and camaraderie felt in the armed services. “Our mission has been to find people who are both good and effective at working with each other,” Broder says. 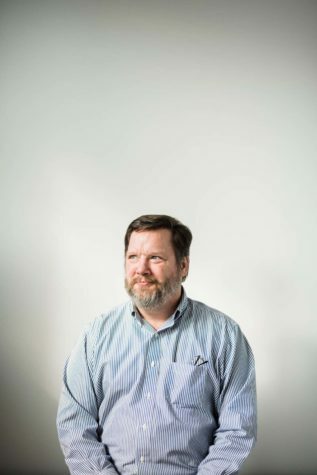 “To make it worth their while we had to find a meaningful mission, bigger than us, and bigger than Maine.” Tilson, an information technology professional services and network deployment business based in Portland, has earned a spot on the Inc. 5000 list of fastest growing companies in the country for the past eight years. Broder started at Tilson as one of three employees in 2006 and became CEO in 2009. 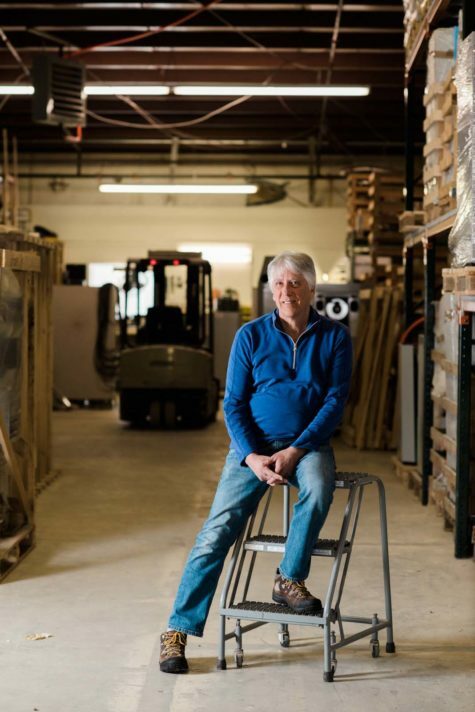 Since then Tilson has grown to 400 employees and has installed thousands of miles of fiber optic networks throughout the United States, consulted on local and national projects, and opened offices in 17 states. Half of Tilson’s employees are veterans. “We think vets like to transition home here at Tilson because it’s a place where pushing each other to be better is comfortable, expected, and appreciated,” Broder says. His goal has always been to make a culture focused on taking risks that encourages growth for both individuals and the company. Sandra Stone believes in empowering and supporting women. 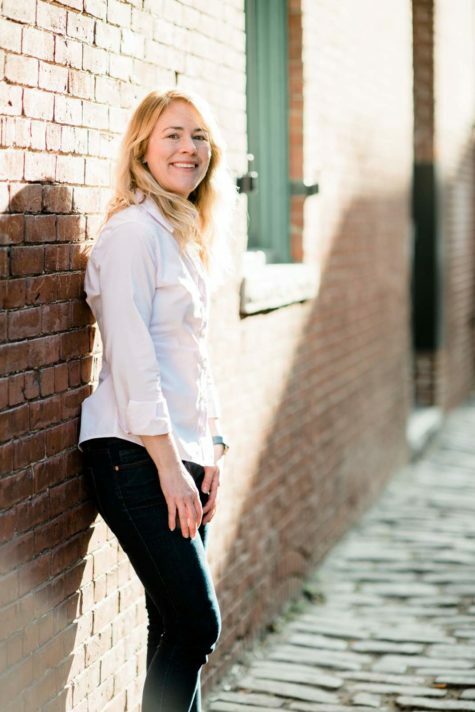 From 2011 to 2015 she led Maine Angels, a private investor network. As chair-woman, Stone encouraged more entrepreneurs, especially women, to apply for investments, and helped add more female members to the investors group. When she first became a member in 2008, she was one of very few women. There are now 15 female members out of 64 total, and Stone stays involved with Maine Angels as chair emerita. “I like being part of creating new approaches, products, services, and collaborations,” she says. “Being an angel investor often provides interaction with inquisitive minds and problem solvers.” When she was leading Maine Angels, Stone helped expand the organization’s resources by having it join the New England Angel Capital Association regional network. Maine Angels is now considered one of the most active angel groups in the country; it has invested $24 million in 82 companies since it was founded in 2003. One of Stone’s proudest accomplishments has been co-launching the Northern New England Women’s Investor Network, a collaboration between Maine, New Hampshire, and Vermont to activate more financially accredited women as angel investors. The goal is to increase startup investments, especially in female-led companies. Stone also has her own consulting business, Sea Cove Solutions, which provides resources and mentorships for female entrepreneurs. “I thrive on collaborating with my colleagues in investor, mentor, and advisor roles as I enjoy learning with and from them, sharing our stories, and building off each other’s energy and ideation,” she says. As a child who spent much of her time in Harpswell, Elizabeth Strout knew she wanted to write. She spent her days studying people and reading books, both of which prepared her be- come an author. “I don’t really have memories of wanting to be anything else,” she says. 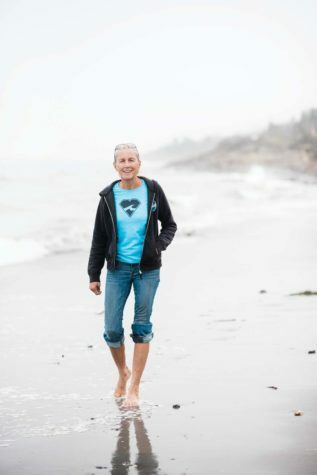 Strout, who splits her time between Maine and New York City, has written six books, including the Pulitzer Prize–winning Olive Kitteridge. 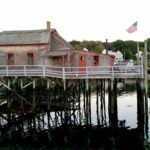 The novel, like many of Strout’s books, is set in Maine. 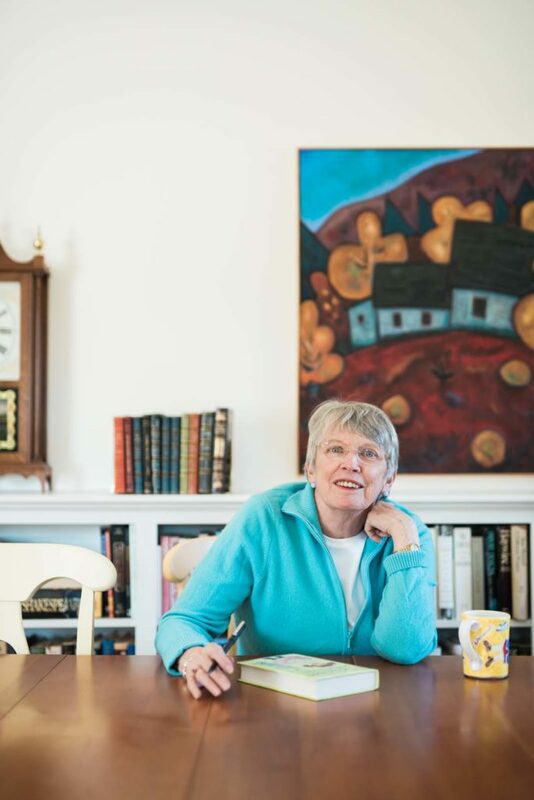 The author says she writes what she knows, and for her, that’s Maine; her family has lived in the state since 1603. “That’s an enormous ancestry from a particular kind of culture,” she says. 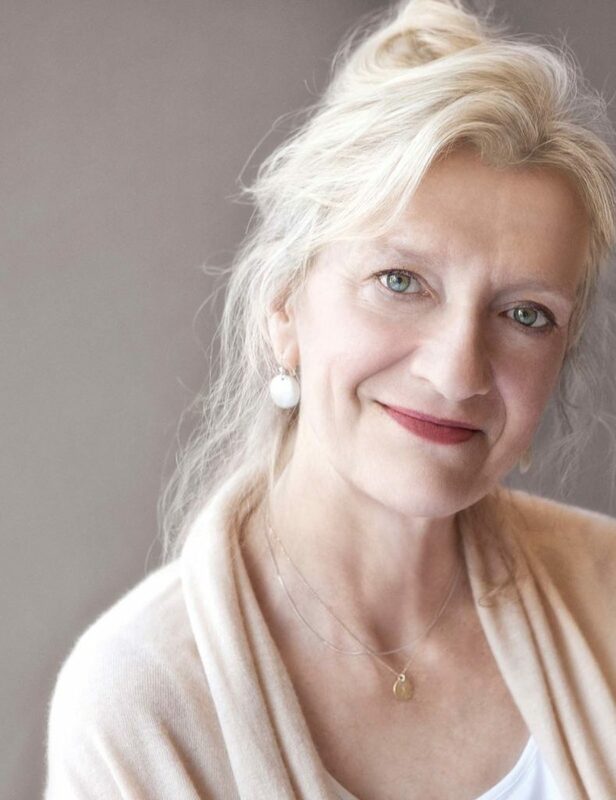 “That has very much influenced my work.” The hardworking grit of Mainers that comes through in her characters has guided Strout herself. Before becoming a successful author, she left Maine and pursued law. The need to be a writer pulled at her, though, and she worked to realize her dream. 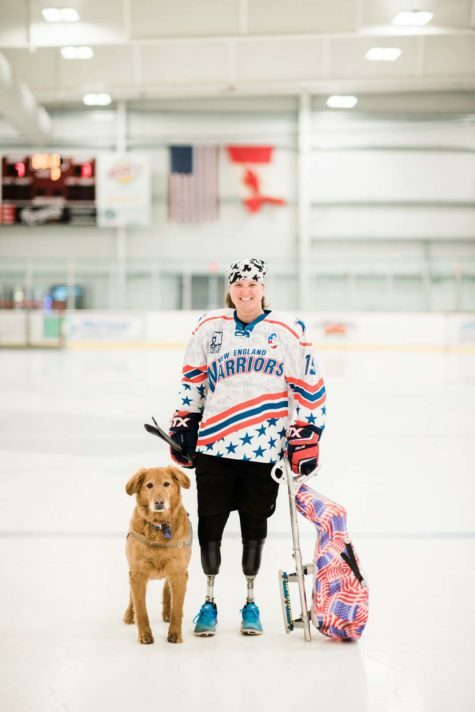 “I always knew I could do it as long as I stuck with it,” she says. “It’s been striking that I’ve actually done it.” Strout has won a number of awards, including the Story Prize for her recent collection of stories, Anything Is Possible. 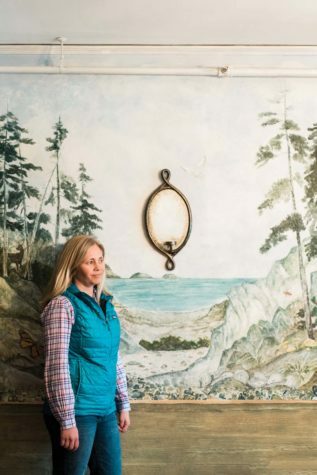 The honors are important to her, but, Strout says, they don’t “really enter me.” Her Maine upbringing taught her not to draw atten- tion to herself, so she keeps her head down. 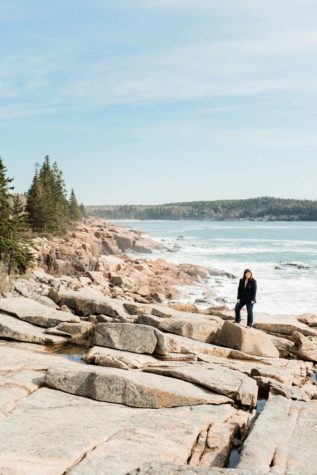 She’s currently at work on her next project: a novel set in Maine. When Kerry Gallivan created Chimani, an app that helps people explore national parks, he knew combining technology and the outdoors looked like an odd match. He views technology as a powerful tool, though, and wanted to use it to help others get out of their comfort zones. 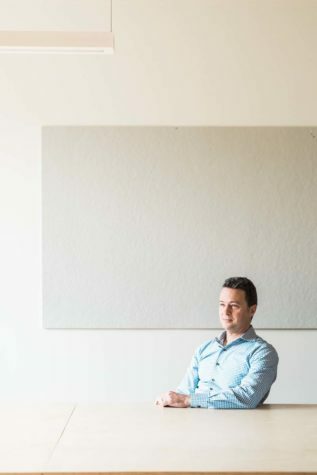 “I am driven by the concept of social entrepreneurship, and in my case, the potential for technology to have a positive impact on people,” he says. Gallivan sees information as a way of empowering people and helping them feel more confident outdoors. Chimani includes maps, guides, and tips for exploring all 417 national parks in the United States. 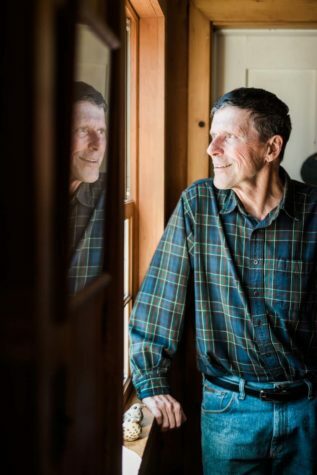 Gallivan came up with the idea because he thought not enough people knew what was out there to discover. The app includes many ways to explore and enjoy national parks, depending on the person’s comfort level, interest, and wilderness skills. 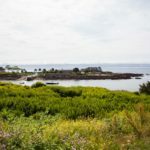 He says Maine could become the “ultimate outdoor destination” on the East Coast because of the variety of landscapes and outdoor recreation opportunities, and tools like Chimani make the outdoors more accessible to more people. 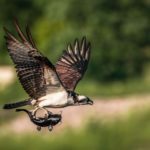 “America’s relationship to the outdoors is changing—less backcountry and more front country—so there needs to be better alignment with the various groups to create more complete experiences,” he says. 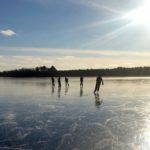 Making the outdoors more accessible is key to boosting Maine’s economy and bringing more people to the state, Gallivan says.